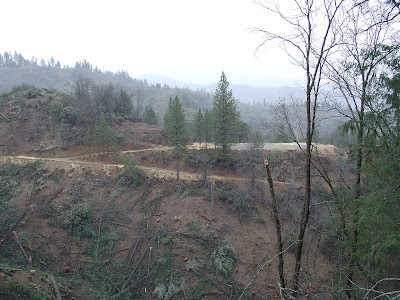 Be prepared this spring and summer for road work being done on Buckhorn Summit, Highway 299 West. Which means waiting for the pilot truck both ways in the commute. 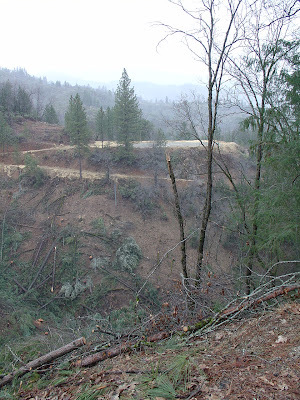 I went by there a week or so ago and there were three particular bends that are going to be “straightened out”. 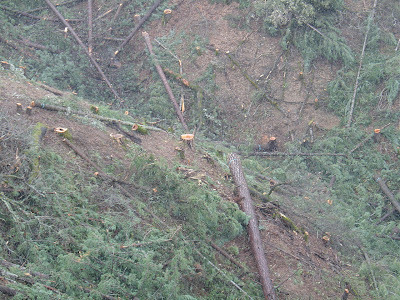 They took down many trees, I stopped at just one of the sites to take photographs. 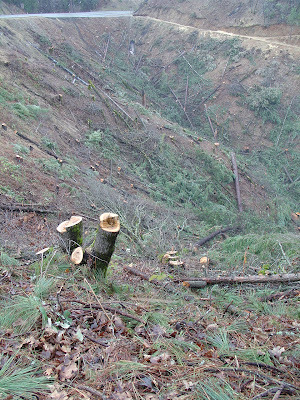 It hurts to see all old trees being cut down. 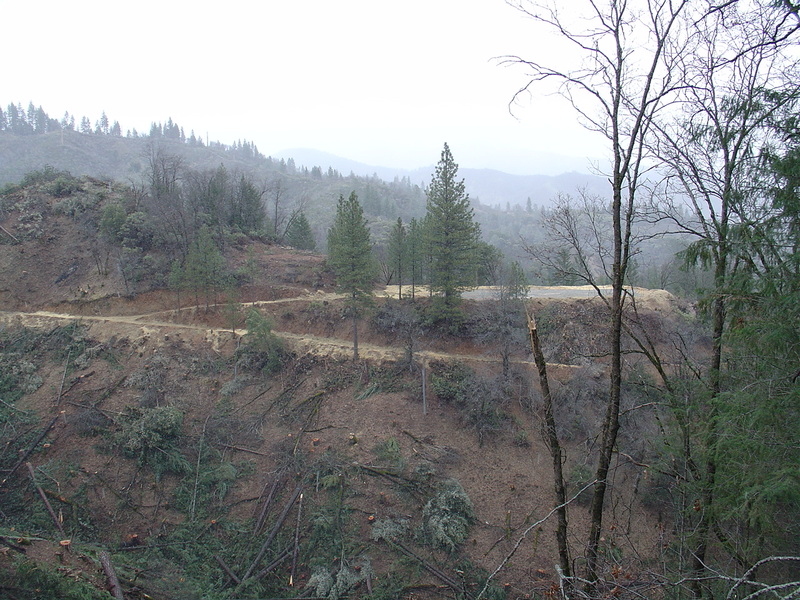 Buckhorn Summit road construction, Shasta county side, 2011. Trees cut down on Highway 299 for road widening. Last week I drove by the work being done on the mountain. They have successfully cut away the majority of the mountain. I am interested in how it will look when they are finished.